New Orleans has become a pilgrimage of sorts for the nationâ€™s youth. Itâ€™s something Iâ€™ve come to realize in a big way while researching my new book, Do Greaters: The Kids These Days and How Theyâ€™re Changing the World. Turns out that for Americans, in general, but especially for folks under 35, New Orleans has become the new rite of passage in our understanding of good works. Itâ€™s generally great for the folks who head there. They learn about the complexity of infrastructure, maybe gain a few construction or landscaping skills, meet some new friends, maybe even get a tan. But what is the effect on the native residents of New Orleans? It brings up all sorts of difficult ethical questions. When are our well-intentioned attempts to help more selfish than selfless? 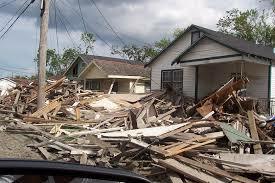 What can folks with big hearts, a little extra money, and a lot of energy do to help rebuild New Orleans? Should we urge all the eager post-college grads to head to Detroit and Cincinnati instead? Or will that just engender the same problems? â€¦what of the youth shaped by what some are already calling the Great Recession? Will a publication looking back from 2030 damn them with such faint praise? Will they marry younger, be satisfied with stable but less exciting jobs? Will their children mock them for reusing tea bags and counting pennies as if this paycheck were the last? At the very least, they will reckon with tremendous instability, just as their Depression forebears did. This is an excerpt from a piece by Kate Zernike in Sundayâ€™s Week in Review (always my favorite section!) about how these economic times will shape the generation just coming of age. In short, there were plenty of comparisons made to the tight-lipped, nose-to-the-grindstone depression-era babiesâ€”the grandparents who reuse tea bags and never buy lottery tickets. The author and her experts wondered, will the kids of today become stingy, safe, and square tomorrow? Iâ€™m skeptical. As I research my new book, a collection of ten profiles of people under 35 doing interesting social change work, Iâ€™m coming across a very different trend. Tough economic times seems to have made young people creative and very practicalâ€”a stunning and hopeful combination. Itâ€™s not that they arenâ€™t feeling the burn. Itâ€™s harder than it has been in decades to start a non-profit and get funding, for example. But hereâ€™s the thing: todayâ€™s youngest and most cutting edge thinkers arenâ€™t really starting non-profits or trending towards traditional methods of making the world more just. Theyâ€™re creating hybrid media companies, public-private ventures, drinking clubs, and secret societies. Theyâ€™re rejecting charity models and trying to figure out how to get folks to align their own self-interests with altruistic causes. Theyâ€™re thinking locally and globally simultaneously. Theyâ€™re not taking huge financial risksâ€”either personally or with the funding they bring in, but thatâ€™s not keeping their philosophies or experiments â€œsafe,â€ as the NYT predicts. Itâ€™s just motivating them to be incredibly creative, really resourceful, and organic in their interventions. What a silver lining, heh? GENERATION NEXT: Stereotyping the Stereotype? Richard E. Nisbett, a psychology professor from the University of Michigan, wrote an op-ed that appeared in the New York Times last weekend about the importance of funding educational programs that really work. All this stimulus package talk has breathed new life into an old conversation: how do we measure the effectiveness of educational interventions? Consider, for example, what the social psychologists Claude Steele and Joshua Aronson have described as â€œstereotype threat,â€ which hampers the performance of African-American students. Simply reminding blacks of their race before they take an exam leads them to perform worse, their research shows. In the age of Barack and Hillary, this is exciting news. The days of â€œyou canâ€™t be what you canâ€™t seeâ€ are over for little girls or black kids destined for positions of powerful leadership. But itâ€™s also got me thinking of other implications for the â€œstereotype threat.â€ Is part of why young women are so plagued by eating and anxiety disorders that we are constantly reminded of a stereotypical version of ourselves (emotional, overwhelmed, perfectionist)? Would we be healthier if we were told that our quality of life was, indeed, under our control? How can we pull apart the cultural associations of femaleness and self-sacrifice/internalized anger/stress? I struggle with this because I wrote a book that traces some of the contemporary causes of perfectionism behavior and disordered eating and exercise. 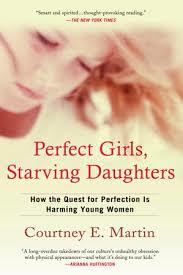 Is Perfect Girls, Starving Daughters: How the Quest for Perfection is Harming Young Women inherently reinforcing an unhealthy perfect girl paradigm just by exploring it? Itâ€™s a pretty paralyzing thought, especially for aÂ feminist and cultural critic. Iâ€™ve always believed strongly in the importance of speaking tough truths, naming things, giving voice to pain. But what if, by mirroring the most painful aspects of my generationâ€™s struggle, Iâ€™ve inflamed it? I spent the last weekend with an extraordinary group of young people at an international high school called The United World College-USA . 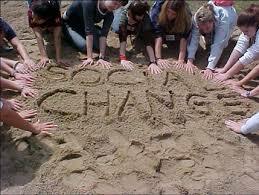 It is a magical place–the manifestation of global peace educators, activists, and philanthropists dreams. There are eleven such colleges (actually 11th and 12th grade in American parlance) across the world, and each houses and educated about 200 students from over 80 different countries. The only one in the U.S. is in Montezuma, New Mexico, of all places, and was originally founded in 1982 and largely funded by Dr. Armand Hammer. I’ve done work with the school off and on, thanks to a serendipitous meeting I had with one of its great teachers, Selena Sermeno . This weekend I created and taught a storytelling workshop for a small group of enthusiastic students (largely based off of community organizer Herbert Ganz’ work on Public Narratives ). The students originated from countries as far-ranging as Iraq, Poland, Singapore, Spain, South Africa, Chile, Vietnam, India etc. etc. One of the things that was so striking to me was the amazing paradox that these diverse teenagers inhabit. On the one hand, they are extraordinary. They tell stories of war, political upheaval, loss, and death that will make your stomach literally burn with outrage at the state of our world and the way that children suffer as a result of adult violence. The image of one young woman from Iraq talking about how she lost 200 fellow students when her college was bombed will never leave me. On the other hand, many of the stories these students tell–even the ones from war-ravaged regions–are about parents fighting, first love, the loss of a grandparent. They could not be more ordinary. And these stories, too, will stick with me. The image of a bright-eyed boy from Poland talked about taking the train for 40 hours to see about a girl will also never leave me, for very different reasons, of course. These kids have experienced unparalleled lives, but they are also–ultimately–just kids. They are self-focused and ambitious and fearful and in love and admire their mothers and wish their fathers would show more emotion and crave to be understood. Nothing could be more universal, perhaps, than the ache of adolescent searching. There was a lot of skepticism leading up to the election about young people. Many pundits talked about the usual pattern regarding youth enthusiasm about politicsâ€¦it starts out with a bang and ends with a whimper. In other words, young people usually talk a big game, but then donâ€™t actually show up to the polls in expected numbers. â€¢	This year, 66% of those under age 30 voted for Barack Obama making the disparity between young voters and other age groups larger than in any presidential election since exit polling began in 1972.
â€¢	Among voters ages 18-29, a 19-point gap now separates Democratic party affiliation (45%) and Republican affiliation (26%). â€¢	Just 62% of voters age 18-29 identify as white, while 18% are black and 14% Hispanic. Four years ago, this age group was 68% white. In 2000, nearly three-quarters (74%) of young voters were white. There is all sorts of intriguing data coming out of the November 4th showing of young people, but perhaps most exciting is the inkling that a whole generation is shifting left like never before. There is real evidence that young people who have been galvanized by an Obama presidency are poised to concretize a real, solid progressive youth movement. Iâ€™ve written about this before, but it bears saying again. In order to capitalize on the exciting youth movement that has been ignited by Obamaâ€™s presidency, progressives need to put some serious money behind a youth-directed, Democratic political machine. Itâ€™s as if weâ€™ve all been given a golden opportunityâ€”an inspiring leader who understood the importance of grassroots and netroots organizing. Now itâ€™s time to run with our blessing. One of my favorite get out the vote efforts by youth this fall is, hands down, The Great Schlep. The young, civic-minded, and Jewish recognized that they had a profound power to influence a very special population in a very special swing state: grandparents in Florida. And thus the Great Schlep was born. There are a few things that I deeply admire about this project. First and foremost, I love that a bunch of young people took stock of the power they already possessed (being beloved by their well-intentioned, if not a bit conservative grandparents) and figured out a way to use that power for political leverage. This is the best of youth activism at workâ€”a homegrown, grassroots exercise of power in innovative ways. I also appreciate that, while it springs from a place of cultural and religious identity, it serves a much broader cause. Jewish youth didnâ€™t wait until there was a fantastic Jewish candidate to start organizing, schlepping, and registering/influencing voters; they participated in a long, beautiful tradition of Jewish activists promoting the best interest of a â€œminorityâ€ and, in turn, their own vision of a more just society. And finally, they used shocking humor and a sort of wonderful sarcasm about their own culture to get the word out. Some have found the racial implications offensive, which I totally understand. I happen to think itâ€™s pretty amazing social commentary. In any case, they got your attention didnâ€™t they? Democratic Party strategists believe that in key swing states, a dramatic increase in turnout among young voters–and African-Americans–can be the key to victory for both Obama and the party’s candidates for Congress. Campus activists, meanwhile, view the Obama campaign as a means to catalyze a new progressive youth movement among the Millennial (18- to 29-year-old) generation that they hope, unlike the political crusades of the 1960s youth rebellion, will be part of a broader, multigenerational coalition. After steady declines in turnout since 1972, young voters reversed the trend in the 2004 presidential and 2006 mid-term elections. In Democratic primaries and caucuses, the number of young voters increased from 1.1 million to 4.9 million. (In contrast, Republican primaries attracted only 1.8 million youth voters.) A Harvard study found that compared to the 2004 primaries, the youth vote quadrupled in the Tennessee primary and almost tripled in Iowa, Georgia, Missouri, Mississippi, Oklahoma and Texas. -How is the progressive movement doing in building a youth movement that can last for years to come, not just jumping on the Obama band wagon? -How are young women responding to Palin? Michelle Obama? Please leave links to places that are answering these questions adequately in the comments section, if you run across them! Letâ€™s hold our media accountable to explore these issues before it becomes too late to address every last little obstacle between Obama/Biden and the White House.